Agriculture has undergone yield-enhancing shifts in the past, including mechanisation before the second world war and the introduction of new crop varieties and agricultural chemicals in the 1950s and 1960s. Currently, achieving the transformation to digital and sustainable agriculture is a major challenge that will need to be overcome without jeopardising the capacity of the agriculture sectors to meet the world’s food needs (FAO, 2016). In the coming decades, population increases will be concentrated in regions with the highest prevalence of undernourishment and high vulnerability to the impacts of climate change, while global food demand in 2050 is projected to increase by at least 60 per cent above today’s levels (FAO, 2016). Whatever the alternative to increase food production, its necessary to achieve this goal with the least disturbance to environmental parameters while meeting food safety requirements and with the highest efficiency possible with regard to the use of natural and human resources. Precision agriculture has a great potential to improve job positions, optimize profits, aggregate value to agricultural products, and reduce environmental impacts due to rational use of inputs. For such, many gaps must be fulfilled and new concepts such as the circular economy arise. In the framework of the Bio-based or Circular Economy the competences and tools focused on precision agriculture can be of great help to achieve the principles of environmental sustainability and zero residue. This new agri-based bioeconomy . Technologies that allow a variable application of inputs, precise methods of mechanical elimination of weeds as an alternative to chemical treatment, digitization at source of agricultural production processes, etc. All this means that the primary sector can be one of the sectors where the circular economy is most intensely and profitably. The primary sector is expected to provide food through the most appropriate use of raw materials, so that emissions and resource consumption are lower. Sustainability at source will play a key role in the availability of food in the coming years. 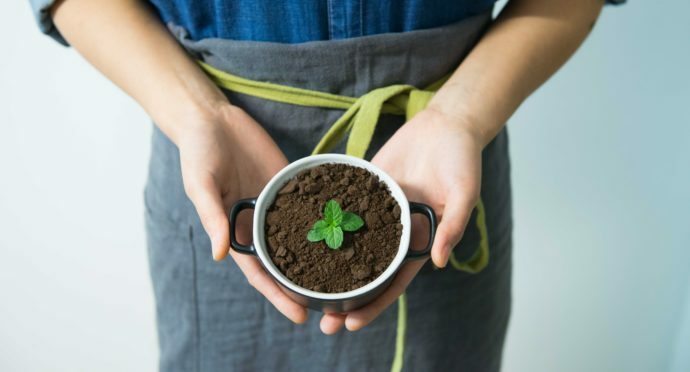 Small and medium-sized enterprises linked to the agricultural sector and the new technologies applied to it are key to a transformation process towards a Bio-based economy due to their innovative potential, their number and the network they make up within the productive fabric, especially in rural economies. The new profile of the agronomist engineer, which is intended to be created with the innovative training actions of the Sparkle project, will be a very well-prepared professional with the capacity to lead projects, transformation processes, more efficient bioprocesses and to better value the use of resources.